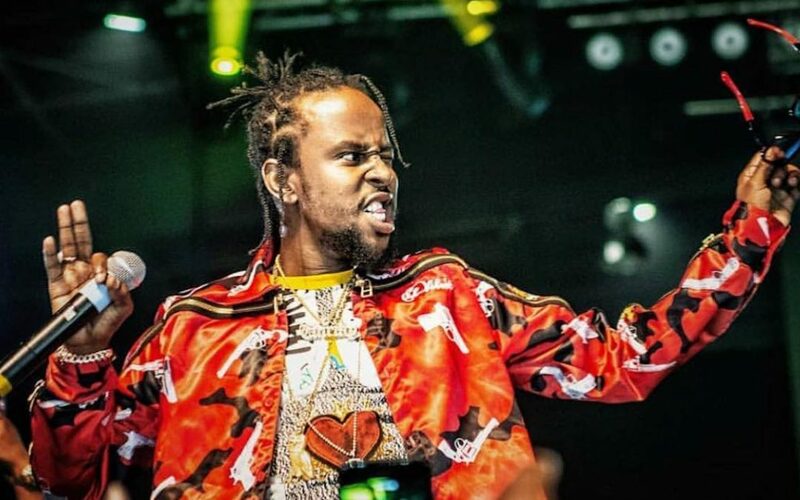 The international dancehall artist that is Popcaan aka Unruly performed the first leg of his sold out London Show on Thursday 6th December 2018. The concert was hosted at the London Wembley SSE Arena which holds 12,500. The night was warmed up by phenomenal Djs, Sir DJ Cory & the infamous Tim Westwood. Unfortunately the supporting act Burna Boy was cancelled from the line-up last minute; however, he was replaced with Ambush (Buzzworl). He had the entire crowd singing along to his lively single ‘Jumpy’! A perfect support act as the genre of music was different to the main act, giving the concert some diversity. Ambush was followed by an extremely talented acoustic band that played an assortment of melodic instrumentals. The was an adrenalines rush as we all anticipated Popcaan to come out at any given second. Popcaan leapt to the stage with a tremendous amount of energy in a spirited entrance, the crowd gave an exciting roar. The talented dancehall artist performed a mixture of his songs such as Clarks, My Type, Controller (Feat Drake), Bullet Proof, Wine for me, New Love and finally Family. As Popcaan jumped around the stage with excitement, passion and flair he maintained an extremely high energy for the fans. They reciprocated by singing along word for word and dancing to many well-known anthems. An absolutely amazing performance from Popcaan, which was thoroughly enjoyed from beginning to end. Popcaan announced during his performance that he would be bringing out a talented London artist as a special guest. To our surprise it was the comedian/rapper Michael Dapaah (Big Shaq). He performed “Mans not hot” and gave us an energetic performance. Amazing from the Island Records artist, a nice cultural twist and it brought a London edge centre stage at the peak of Popcaans performance. Popcaan displayed incredible manners and respect for the international artist Vybz Kartel. Paying the artist homage he stated that he wouldn’t be here today if Vybz didn’t believe in him from early. An amazing show of humbleness and gratuity. The fact Popcaan took time out to appreciate another artist was extremely pleasant to watch. Popcaan also tributed his London show to a friend who passed away the night before his performance, this made the crowd empathetic towards him. it also showed his strength performing under such sad circumstances and still killing his performance. Popcaan also payed homage and brought out Ja Frass and Quada. The production for the concert was undeniably astounding with flames of fire rising as and when necessary, exceptional lights and a confetti canon which erupted into the air at the peak of the show. A massive sign which illuminated to read the artists name was another highlight of the production. Popcaan continued to work the stage and executed remarkable stage presence throughout the magnificent show.